We want our play and sports areas to be part of your success story, inspiring great tales of the perfect day at school. With schools expected to cater for children’s life skills in addition to their academic skills, KOMPAN are proud providers of school playground equipment across the UK, developing Nursery, School, and University outdoor areas into stimulating and social spaces that are not only fun to use but offer innovation and excitement for all ages. 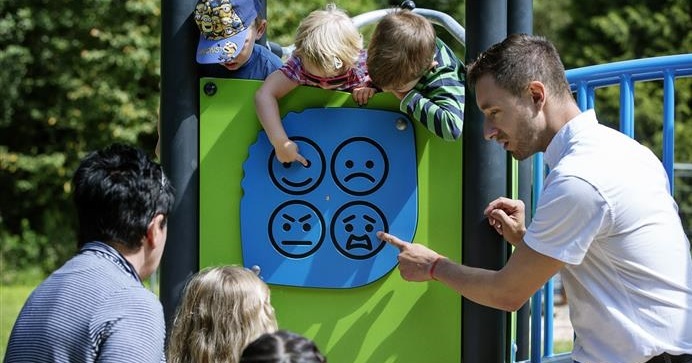 Well-designed play areas are learning fields for children’s social and physical development. So, our comprehensive range of outdoor, educational school playground and sports equipment offer compelling designs, high play value, uncompromising safety, unique innovation, long-lasting quality and great value for all school ages and abilities. School children across the country have taken to our KOMPAN school playgrounds, attracted by the secluded areas designed for social gatherings and lead by their curiosity to explore different levels of our play structures, exercising both their bodies and minds. 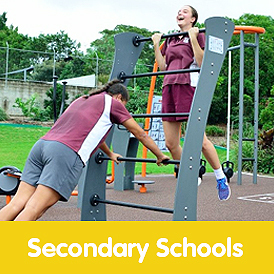 Our playground equipment doesn’t just offer an environment for physical exertion but encourages children to attend school to make use of the equipment available. Children learn better in environments that appeal to them. Beyond the play area, our KOMPAN outdoor playground equipment for schools can contribute to lesson plans with National Curriculum guided teaching materials to bring learning onto the playground. In addition to creating an attractive school appearance to prospective parents and students and increasing school ratings overall. 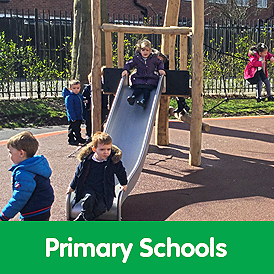 Student and children’s health and safety lie at the forefront of our projects installing outdoor play equipment for schools and our designs incorporate safe playground flooring as standard. The safer environment encourages children to step out of their comfort zone, challenging themselves with physical activities that they may not have tried before. This independent exploration is vital to building a child’s self-confidence and promotes a sense of achievement when they succeed at something new. There have been plenty of studies done on the effect that school outdoor equipment has on students and almost all of them have indicated a much better rate of student achievement where a school has an exciting, innovative playground for the kids to exert themselves on. As an experienced school playground equipment supplier, we understand that opportunities for play and physical activity have a direct impact on student’s in classroom behaviour and their attention span during class. That’s why we design our playgrounds with specific age groups in mind, so students can get the best out of their freedom to play and successfully achieve across all child development areas. A key strength that has helped KOMPAN acquire and maintain its market-leader position, concerns the work of the KOMPAN Play Institute. Comprising of dedicated and passionate employees, who share knowledge and best-practice, monitor the latest trends and conduct in-depth studies with researchers and scientists from a range of disciplines – Health, Learning, Social Inclusion and Child Development. At KOMPAN, we don’t just install playgrounds. Our teams work alongside schools to develop a unique and innovating area of play from the ground up. 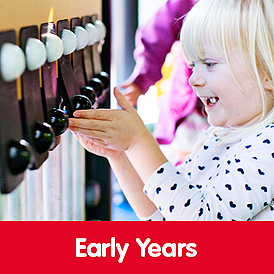 Every area offers a different purpose or activity to challenge children physically or mentally and is designed around schools and their student’s needs. On top of that, we plan our play areas to support social interaction, with teachers reporting that social skills such as waiting your turn are hard to teach but easy to understand when in an outdoor play environment. A School playground meticulously planned to support free, guided and instructed play can offer all children a varied and motivating learning experience. The end result of this focused activity is innovative, inspiring and distinctive school play equipment solutions. Having helped hundreds of schools get the most out of their outdoor spaces, we understand that every space has unique requirements. We tailor our outside play equipment for schools to meet your needs whilst staying in budget. Our multidisciplinary team of play consultants, landscape designers and other experts follow a specially developed KOMPAN planning process. The design principles of which take into account how the school playground equipment will support your students, curriculum, space, surroundings and activities. The result is a completely original, custom designed playground solution that provides the greatest possible value for the school, the outdoor space and the pupils. 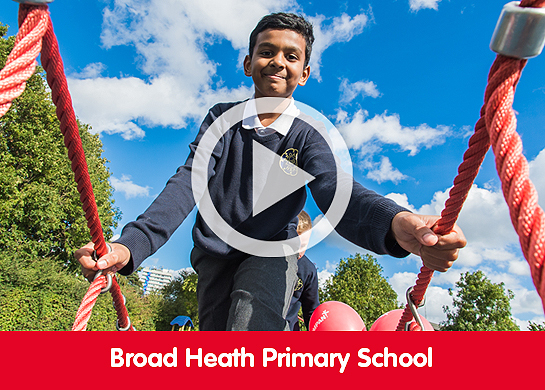 See projects we have created with schools, helping transform their outdoor spaces. 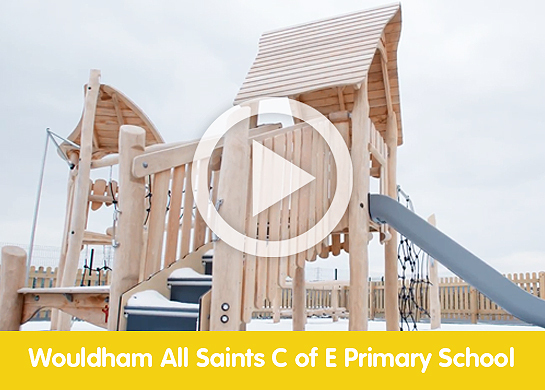 Our playground equipment has been specially designed to help practitioners provide outdoor learning environments which enable children to develop and create positive relationships with others and the world around them. The aim is to support the 7 pillars of EYFS learning and development, outdoors in the playground. We have been working with primary schools to help boost attendance, attention and attainment by installing unique and engaging playground equipment. Our school playground solutions offer challenging and creative learning through play to booth curriculum outcomes. At KOMPAN we have proven that the right outdoor opportunities, designed in the right way, are still a well-rounded way for secondary school children to hang out together, show off and get fit. We offer unique, play, sports and fitness solutions. From classic multi-use games areas to an innovative fitness items. KOMPAN, Discover how inclusive playground design will allow children with wide-ranging abilities to play together and learn through a medium which they all understand…play. 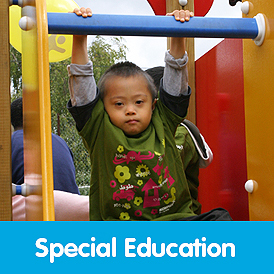 Outdoor play is not only vital for children with special needs to develop their health, but it also offers opportunities for positive learning. We can create great playgrounds within your budget!